During the winter months, bald eagle watching is one of my favorite pastimes. In Wisconsin where I live, the raptors tend to hang out on the Mississippi and Wisconsin Rivers. Surprisingly, rather than head to the waterways’ wilds to indulge my hobby, I head to the cities on the banks. 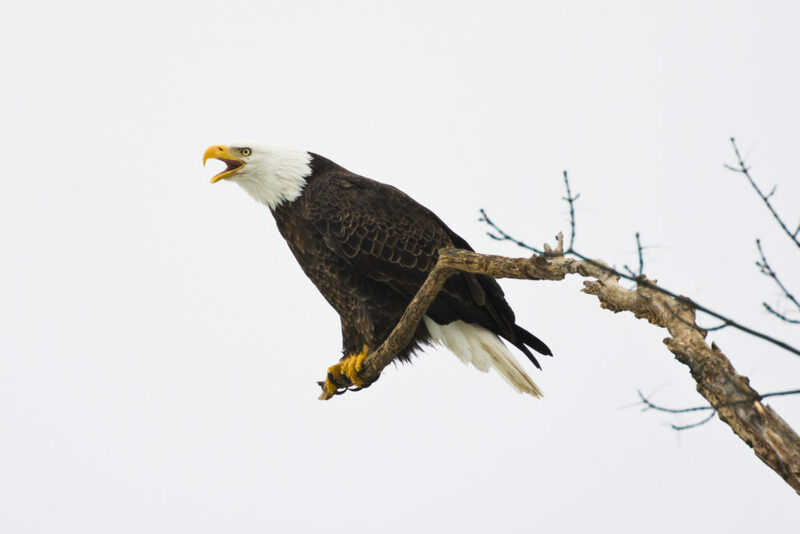 The eagles prefer the cities along these rivers because of human-made structures: dams. In freezing winter temperatures, these dams keep the surrounding water churning and open, making fishing a lot easier for the birds. In our quests to experience the many benefits of nature, I think we often overlook what’s available in our cities. Just as our human population has adapted to city life over the course of the last 200 years, so have many species of wildlife. In fact, our cities may become the hotbeds for studying animal evolution in the future. When we first hear the news about a previously unknown species being found, we tend to assume it lives in a remote region of our planet, at the bottom of an ocean floor or in the thick of a dense jungle. But more and more, we’re finding that wildlife has quietly been adapting to cities, just as we have. 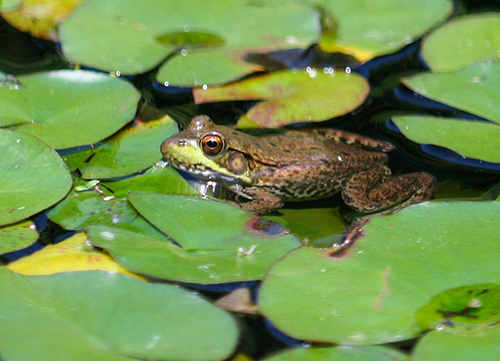 Recently, The Nature Conservancy reported that a new species of leopard frog was identified—in all places—on New York City’s Staten Island. And Charles Henny, a research zoologist emeritus with the U.S. Geological Survey in Corvallis, Oregon, says that there may be more ospreys nesting in North America than ever before. The reason could be that ospreys have forsaken trees in favor of building their 250-pound nests on power poles, cell phone towers, channel markers and other human-made structures. Ospreys have learned to tolerate people, even raising their young next to busy highways or marinas. According to Stan Gehrt, a professor at Ohio State University who has been studying urban coyotes in Chicago, a coyote living in that city has a 60 percent chance of surviving another year, while a rural coyote has only a 30 percent chance. It’s believed that because food and water are more readily available in cities, the urban animals are faring better than their rural cousins. Gehrt says coyotes have so acclimated to the city that they even understand how traffic flows when crossing the street. Crows have used cities to their advantage, too. Known for dropping nuts and bones from great heights to crack the hard, outer shells so that they can reach the food inside, city crows have devised an even better method: they simply drop the previously impenetrable food into a street and let the cars crack it open. As a society, we’ve moved from an agrarian one to an urban one. Already, one of every two people lives in a city. It seems that rather than fleeing our streets and buildings to sequester themselves away in our last remaining wild places, animals are adapting to city life right alongside us. Someday, biologists studying evolution and adaptation may find metropolises such as New York just as valuable as the Galapagos Islands. Today, I think I truly understand what she was talking about. Have you ever been surprised to learn of wildlife sightings in your city? Have you encountered any wild animals living close to your own backyard? http://www.sibleynaturecenter.org/essays/wildontheprairie/habitats/000227_urbanforest.html this is a story about the critters that come along with oak trees to the urban landscape… as an educator, I utilize the surroundings of most of my audience…the urban forest…but one can find the wild even in the urban forest…. there are continually new organisms arriving in the urban forest, so the ecology is often shifting, adjusting, adapting. so few people spend time outside observing…we don’t know what is going on even in our own back yards…. I love the article on urban ecology. However, I noticed that all but one of the animals featured as examples are either scavengers or top level predators. I agree that animals are adapting to human environments as urban sprawl continues to seriously fragment natural habitats. However, as a society we need to look at organisms at much lower trophic levels. 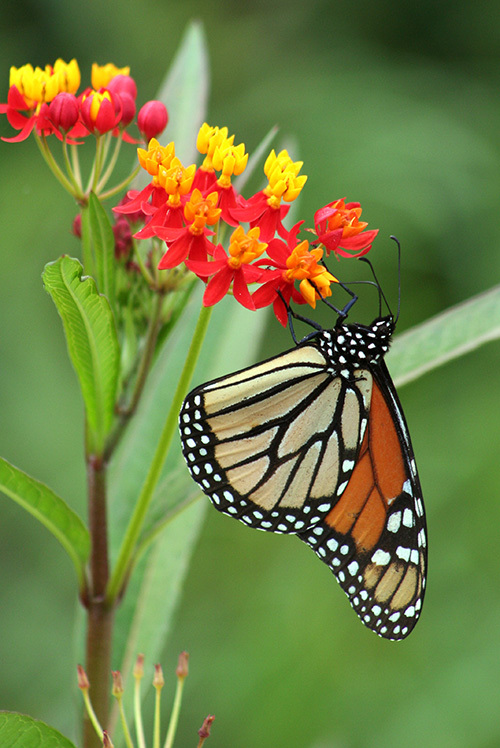 Do the plants that landscape our neighborhoods support native insects and birds? Are the parks and natural areas in my community connected with wildlife corridors? Who is managing local retention ponds and wetlands? I believe that these are the kinds of questions we need to answer to truly accommodate a healthy and biodivere community of wildlife in our urban areas. I am in Cleveland, Ohio and the bald eagle has made a comeback in the last few years. Always startling to see one over the city, majestic. In some cases, cities are adapting to wildlife. Vancouver did a lot of work on this some years ago. There are a lot of adjustments that have the potential to do a lot for urban wildlife, and research is just starting to be done on which techniques work and how to implement them. I live in NE Pennsylvania and I agree with all of the viewpoints of the comments in this discussion. The Urban Sprawl is happening because there is not a “commodity rating” on wildlife or their habitat. Until we can change a few minds that starts a ripple effect, then the builders will come in and take down all the trees with little or no regard as to whom is living there just to build more homes or apartments. The push the rehab and green existing buildings into more comfortable and healthy living spaces needs to start. We have a lot of empty buildings that could be converted instead of taking the easy route. I have seen turkeys, deer, bears and the like wander through my neighborhood and I live in a densely populated area just south of Scranton! They do adapt but we also need to adapt our way of thinking. I agree with a few of the previous comments by individuals who mention concerns about how people will interpret an article like this one. I am a science writer who recently collaborated with researchers studing and publishing about the urban black bears increasingly comfortable in communities in the US Mountain West. One thing I find important to remember is that although watching wildlife in cities is, generally, an appealing concept, most of those animals are still WILD. The medium-to-small-sized wildlife species may adapt alright, but even they are still wild, with the same needs and risks as they have outside of town. I wonder if the author or other readers have encountered situations such as the one detailed here (http://www.fruitrootleaf.com/2012/10/lions-and-tigers-and-bears-oh-my-taking.html), in which urban black bears in Missoula, MT are becoming fully attuned to apple ripeness, and are increasingly comfortable around town. These bears offer an extraoridinary opportunity to evaluate urbanization of wildlife as it takes place. However, the situation is a significant challenge for local residents and wildlife managers, and in fact, the bears themselves. In Johannesburg, the woodland birds are moving into an area which was outside their previous range. This is because the trees planted in gardens are now getting to be large mature specimens. Previously, the area would have been a grassland plateau. If you look at some of the older suburbs with Google Maps you can see how wooded they are. And coupled with bird feeders etc, it makes a very attractive new habitat. We do see wildlife beginning to come into our towns and cities here in the UK, badgers and foxes being the most common. In Sheffield the deer are beginning to come down from the moorlands and come into the city, following the rivers into our urban woodlands. There are peregrines that have moved into urban areas because they can feed off the feral pigeons, and there are (sea)gulls that have never seen the sea. I do think it sad, however, when I see stories of people shooting bears that come into outlying suburbs, when they are not encroaching on the people’s habitat, rather the people are encroaching on the bears’ habitat. In instances like this, they are coming into the urban areas because the are hungry – because the urban areas have depleted their food source. A few years ago I was talking to a chap who lived on the edge of the Peaks bemoaning the badgers that left his lawn peppered with snuffle holes. He wanted them culled in favour of his lawn. But they were there first, and they were just foraging. How can a nice lawn be more important than an animal trying to feed itself? It wasn’t causing any danger, just looking for worms. Its a funny old world. The same can be said, of the United Kingdom. We are losing many of our wildlife friends from the general countryside and they are adapting to urban life here too. Many Red Foxes and European Badgers are coming into suburbia, alongside birds such as Eurasian Goldfinches and Bullfinches, which are being tempted away from the countryside, thanks to the increasing amount of garden bird feeding. I agree; great article. Its amazing how diversified nature is and thankfully find ways to adapt to human progress. Interestingly enough some research in the UK has found that the roundabouts in our road network can act as ‘stepping stones’ for insects, if they have the right vegetation. I always enjoy your blog posts. Wildlife adapting to city life is an interesting study. lately, we have had an abundance of Red Fox in our town. Here in Fairbanks, Alaska, I’m disappointed if moose don’t come visit and often take a nap in my backyard which is sheltered from breezes and may offer urban heat…i.e. warmth from heated buildings in our “downtown.” One of the moose became alarmed at a neighbor with camera a few years ago and attacked the quickly emptied porch, so wariness is important. In Anchorage, bears are a genuine danger. Houses climb hillsides above snowline once thought impregnable and they do prowl down into the center of this now good size city. Local wolves are occasionally reported to prey on dogs and lure them into the forest. At dinner in the Hollywood Hills a few years ago I watched a shepherd and his sheep (really) walk down the road…and trotting along behind a hundred yards or so came a coyote. Urban mountain lions and other major predators are indeed a problem needed to be addressed and resolved so that we may co-habit harmoniously, whether rural or in the city. Love the photos and the article. Michael Rosenzweig’s book, “Win-Win Ecology: how the earth’s species can survive in the midst of human enterprise” makes a strong argument for using urban and other human-altered habitats as effective loci for species conservation. It’s an excellent read, and a remarkably upbeat counterbalance to the more common pessimistic view in conservation literature. One of the main messages of the book is that our involvement in global environments is going to diminish any time soon, but that we can make a positive difference for other species while improving our own quality of life. It also includes a number of examples (including some surprising ones!) where human habitats have been used to benefit species / community conservation. Well worth reading! I quite enjoyed this article and can personally attest to the amazing adaptability of coyotes and deer in urban areas of Colorado, in fact, some of the coyotes have been so successful that we have to take steps to control their population. Thank you, W. Sue. I believe you’re right. I’ve made the correction. Hit the nail on the head Mauverneen! I have been the director of wildlife rehabilitation clinics in two states. It is sad to see the amount of damage that human encroachment on wild habitats has done to our native wildlife. Adaptability is the name of the game, but there are so many animals, large and small, that cannot adapt. Look at our pollinators who have lost significant amounts of habitat. This group affects our food source and our pocketbooks. Very true. They need to adapt because humans are encroaching constantly on their habitat. We need to find some solutions to co-habiting this planet. It’s great to see animals that adapt, but so sad to see other become extinct. I’m afraid you may have misspelled the Ohio State University professor’s name. Stan Gehrt is the person that has studied urban coyotes in Chicago. It is definitely growing to be more and more noticeable. I live in the second largest city in Illinois and have seen a flock of wild turkeys right along one of the busiest thoroughfares. Granted, on the other side was a strip with a (small) ravine with a (small) trickle of water and a (small) amount of brush. But should a whole flock of wild turkeys be living in the middle of an urban city in this little strip of land? I don’t know how they’ sustain themselves, let alone have enough room to roam, raise young, etc. We’ve had deer come up in front of our house. Yes, we have a creek behind our house. The creek is maybe a foot to a foot and a half wide, has a steep bank almost right up from the sides of the water, just barely any room to walk alongside it when the water’s down, and then fenced in backyards right at the edge where the steep bank lets off. There’s no browsing area down in this creek, it’s polluted, it’s barely an inch deep in most places (sometimes a foot… there used to be a bit more wildness when I was a child and I’d play down there… now everything has been built up all around it, sadly.) Still we’ve had deer in our and next door neighbor’s front yards. While it was fun to see the turkeys and deer right in my own city the naturalist in me said “Woah, hold on. This isn’t RIGHT. This isn’t where you should be. And I know you’re just minor examples in my hometown. I’ve seen the stories and information about it in general. It’s a mass epidemic.” Friends of ours get deer in their yard every night, but they live on the outskirts of town, with an actual woods behind them. That I’d consider okay, personally. Yes, 3/4 a mile down the road you have a busy busy street. But nestled deep in that neighborhood you’re completely escaping from that. But it’s these small strips of “natural areas” that really get me. They’re great for smaller wildlife but should larger wildlife really have to rely on them? The answer is simple. No. Of course not. But we are slowly but surely forcing or encouraging that. Where and when will it end? It’s true that some wildlife do well in cities, but as a wildlife biologist, I have to respond to the statement, “It seems that rather than fleeing our streets and buildings to sequester themselves away in our last remaining wild places, animals are adapting to city life right alongside us.” First, let me say that I know you’re not intending to say, “Hey, let’s not worry about wildlife and urban development because they can adapt.” But it does require some caution. For every species that can adapt to urban living, there are thousands, perhaps millions that never will. The urban environment is hazardous. There are more cats, raccoons, possums, and skunks who eat birds and birds’ eggs. There are buildings with reflective glass that lure birds into collisions and lights and noise that disrupt their migration and breeding patterns. There is lack of food, space, and cover for species with large territories. You get the idea. I agree with your sentiment that as educators, we shouldn’t overlook the organisms living in our own cities. At the small scale, there are plenty of insects and arachnids to observe and learn from. We can admire those wild animals that can survive the urban environment, but remember that we need those wild spaces for all the rest of them, and for us. Great subject and well written! The first osprey nest I ever saw was on a pole next to the landing strip of a small airport in Gainesville, FL. The birds were apparently unphased by the racket. Hiking in Arizona on a trail close to a busy highway, we encountered javelinas large enough to be rather formidable. All birders who have traveled in the Southwest US and Mexico know that prime sites for bird watching are sewer ponds. Here in northwest Missouri, in a town of 75,000, we often see deer, wild turkeys, raccoons (including a family that set up housekeeping in our attic), and hear the great horned and barred owls that live nearby.The ubiquitous squirrels feast on our apple and pear crops, eating far more than we do, while the rabbits try to decimate our garden. Red foxes and coyotes are frequently seen just a few miles from us, which does seem to help control the feral cat problem. She missed one of the better ones . . . the coyotes that hop the train between PDX and Portland. I live in an unincorporated county setting, and there’s a lot of wildlife around me. There’s a lot in town, too, from the town deer herd . . . adapted to looking both ways before they cross streets to the pair of eagles that nest next to the hospital. Their nest gets fairly frequent cleaning because it’s under one of the final approach routes for medical helicopters. When we see people walking bitty dogs on those retractable leashes some of us think of it as trolling for coyotes. Why should we be surprised? Aside from traffic and the occasional onery homeowner, many of the larger species of wildlife are far safer in town than out in the sticks. Things small enough to fall to cats aside. Outdoor cats, though, are vulnerable to coyotes and raccoons, so there’s a balance being kept in town, too. Human refuse is a good source of food for our urban wildlife. I have walked in on possum and raccoon sorting through my trash in the backyard. On my evening walks I have seen fox and deer at the local golf course. Sewers, basements, underneath decks, chimneys and other structures are ideal for hiding out during the busy human hours. Adaptability is the name of the game! It is really possible for wildlife to adapt in the cities,but the main problem is people to adapt living together with wild animals.In my home town,Livingstone the tourist capital of Zambia,there is high rate of human-animal conflict due to residents failure to give wild animals right of way.The other reason,is that the Local authority has given out animal corridors to individuals to build houses,hence blocking animals moving freely.Residents have to be educated about how to interact with wild animals.People need to be educated about the wildlife. My husband and I live in a suburb of a large Ohio city, and we’ve had many wildlife sightings out our back windows. We do have a woods behind our house, although it’s only about 200 feet deep, and in winter we can easily see the houses and people on the far side of the trees – so this is far from being wilderness. Still, we have many (too many) deer that live here, and we’ve also seen, from our kitchen window, red foxes, coyotes, and even a mink! Our best bit of urban wildlife is the pair of barred owls who have nested for several years in the cavity of a sycamore tree behind our house. They’re close enough that one year we even witnessed the owlets’ departure (read: fall) from the nest cavity! The parent owls regard us humans not as threats but as just another part of the landscape, and they’ve perched no more than a dozen feet away from us as we stood on our deck.